Lectrosonics Inc. is a small business based in Rio Rancho, New Mexico, that sells wireless microphone systems and audio-processing and routing equipment. Its products are used in diverse settings ranging from television, film and broadcast production to courtrooms and theaters. Founded in 1971, the company currently employs 160 people, and most work at the headquarters and manufacturing facility in Rio Rancho. Company sales now approximate $30 million, with 30 percent export-related. 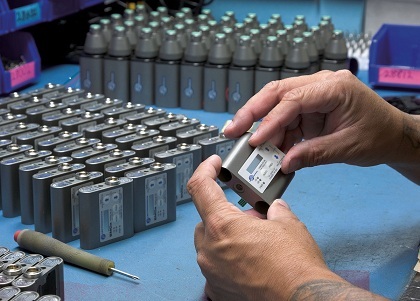 After receiving helpful guidance from the Department of Commerce, Lectrosonics approached EXIM in 2012 and applied for much needed credit protection. The export credit insurance enabled the company to expand into Romania and outfit the country's entire national court system with its audio-processor product. "Doing a large sale to a new export country was a daunting challenge. With the financial backing of EXIM Bank, we were able to confidently take that step with the result of one of the largest single orders in 2012. As our export sales continue to grow, it is very likely we will again look to EXIM Bank for financial assistance."